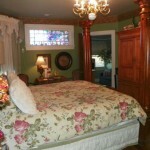 We have 4 lovely rooms available for your stay with Aunt Daisy. 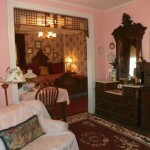 Come enjoy your stay in Central Illinois and see what the midwest has to offer. 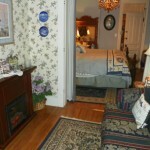 Click on the photo for an enlarged view or Click on the suite name for more pictures. 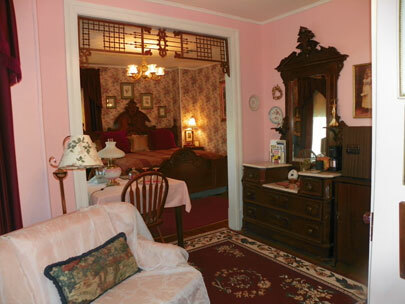 The largest of the rooms, the Victorian suite features a king size 1870 era walnut bed with its own sitting area, and private bathroom with shower. 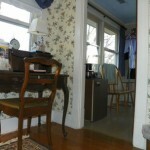 A large stained glass window brightens the sitting area. 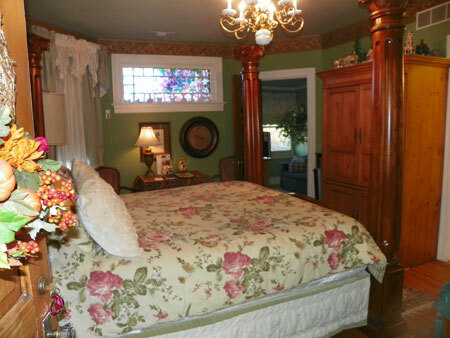 Marble topped furniture and an antique fainting couch complement the room. 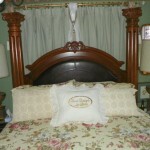 The King Suite features a king size bed, with furniture pieces throughout. 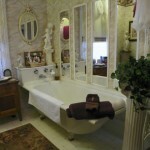 This room has the largest bathroom in the house, with an antique 6 ft. clawfoot bathtub and separate shower. 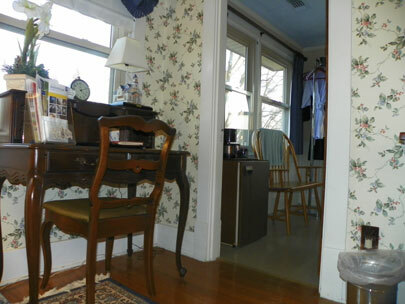 This room also contains an antique desk to accommodate business travelers. 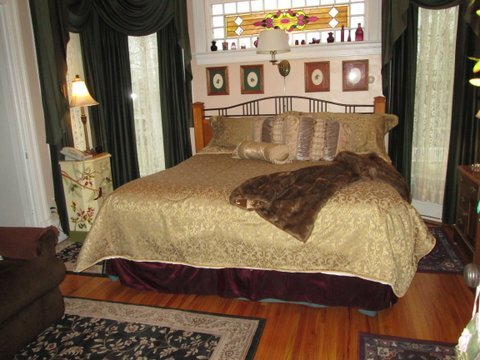 A king size bed is the centerpiece of this room, which also features its own couch and separate sitting area overlooking the yard and garden. 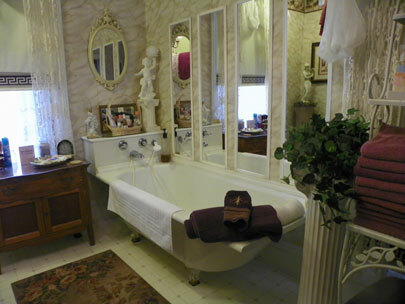 This room also has its own bathroom with shower. 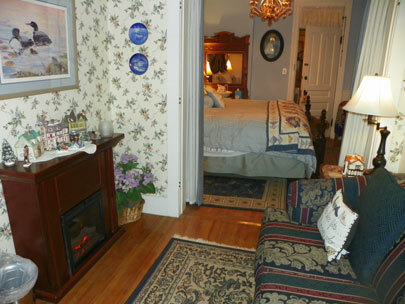 The Hampshire suite features a king size bed and its own sitting area overlooking the yard. 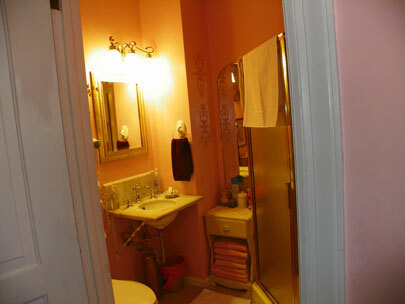 This room also has a large bathroom with a full size shower. 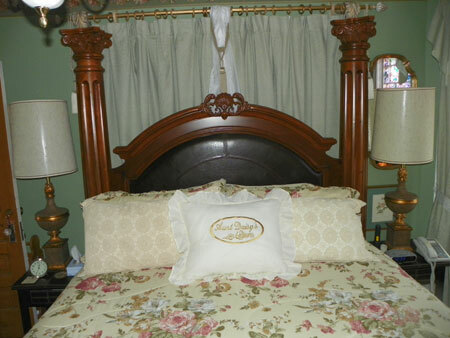 Aunt Daisy's is named in honor of Michele's Great grandmother, Daisy Thurman, who was an innkeeper over a century ago during the St. Louis Worlds Fair of 1904. 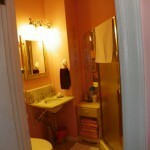 Her photo hangs in a place of honor here.